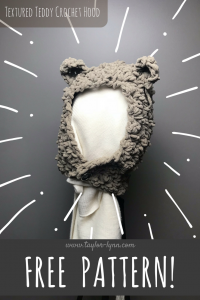 I’m sure you guys have seen the adorable kid’s teddy crochet hood trend that has been going around lately. Well, after seeing so many cute hoods as of late, I’m sold! They aren’t just for kids either! You can adjust this hood to fit any size and/or add length to allow it to bunch around your neck for extra warmth! These hoods are so customizable and simple to construct. Not to mention that they are super warm! I was working up a sweat trying to get my photos taken for you guys wearing this. You can skip the ears for a more mature look, or you can keep them to help bring out your inner child like I did. This hood is perfect for your cute fall and winter jackets that don’t come with an attached hood. Its perfect for keeping your ears and the back of your neck cozy as the cold weather starts to creep in. 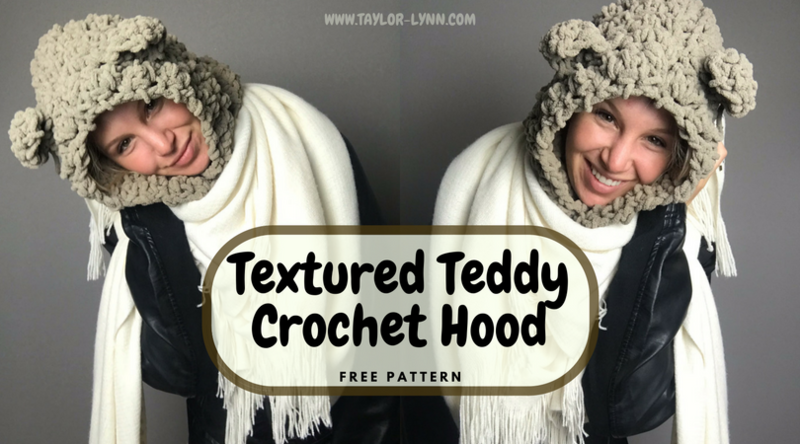 I fastened my teddy crochet hood with a button on the front, so you don’t have to worry about pulling it on over your head and ruining your hair. Just set it on gently and button the front together, or just leave it open, the choice is yours. I would love to see what this pattern looks like in all the colors! Tag me in your finished projects or even if its still a work in progress and I may feature your project on my social media accounts! If anyone has a suggestion for any new patterns feel free to tag me or DM on my instagram at anytime. Also if you get stuck on a pattern at any time, I usually have a quicker response time if you contact me on those two social media forums. Thanks loves! Yarn: I used around half of the larger skein’s of Bernat’s Baby Blanket Yarn in the color Sand for my Teddy Crochet Hood. I got it from Joann fabrics and I used one of their 40% off a single item coupons as well as getting 10% cashback from scanning my receipt in my ibotta app meaning I got this yarn for around $4.50 for the large skein. ALWAYS check for coupons at Joann’s and Micheal’s before checking out! Crochet Hook: I used a 15mm Clover Brand Hook. Tapestry Needle: A large eye yarn needle will be needed with the bulkier yarn to weave in your ends. Button: Any button of your choice just make sure it is large enough that it will hold when looping it through your stitches. 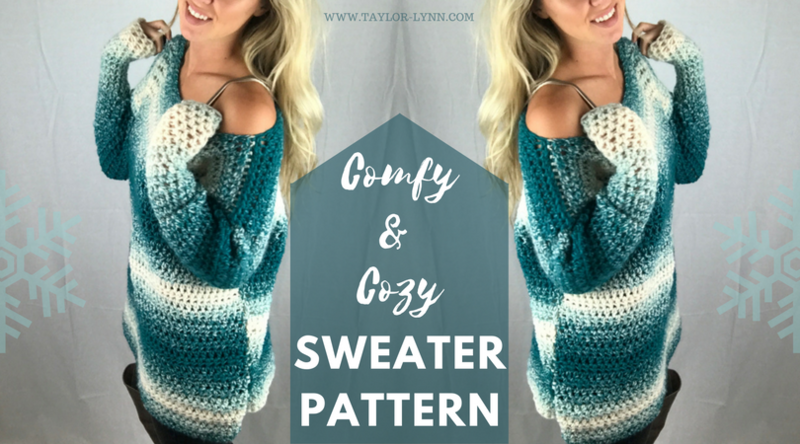 If you love this warm fall accessory then you may want to check out my cozy sweater pattern as well! 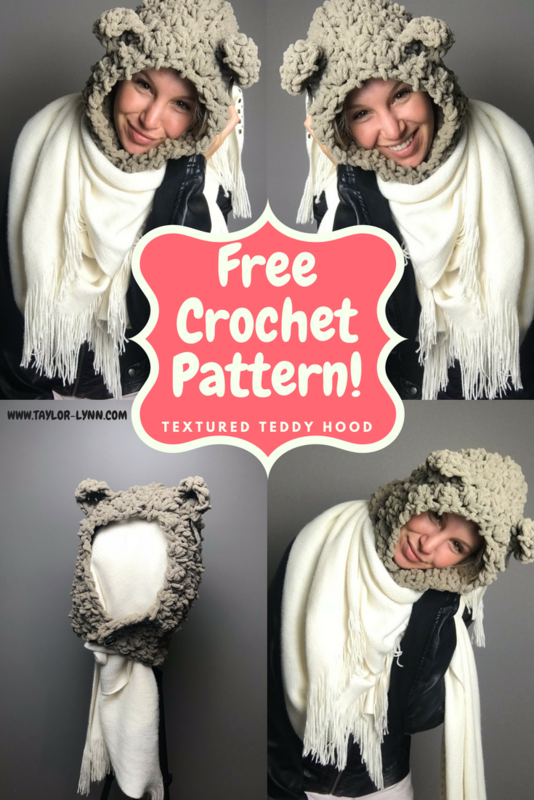 This Teddy Crochet Hood Pattern can be altered to fit any size. I will tell you in what areas you will want to adjust it to make it larger or smaller. I made mine in an adult/teen size for reference. Row 1: Make a SC and a DC in the second ST from the hook. *Skip the next ST, then make a SC and a DC in the next ST.* repeat between the *’s until you reach the last two stitches of the row. SK the second to last ST and make a SC in the last ST.
Row 2: CH 1 and make a SC and DC in the same stitch. *Skip the next ST, then make a SC and a DC in the next ST.* repeat between the *’s end the last ST with just a SC. Row 3-4: Repeat row 2. Feel free to add or deduct rows for your perfect fit, if you want to have extra material scrunched around your neck for more coverage, I suggest adding at least 2-3 more rows at this point since this is the part that will cover your neck region. Row 5: CH 1. SC2tog then sc/dc in the next ST. *Skip the next ST, then make a SC and a DC in the next ST.* repeat between the *’s but end with a SC2tog in the last ST.
6-16 (15 for a child, 14 for a baby): Repeat row 2 until you reach the desired hood height. The number of rows I have listed is just a suggestion.. Fold your project in half, wrong side facing out. Now using your yarn needle, whip stitch the edge of your hood (I prefer to sew together the end my starting chain is on for a cleaner front edge being my last row made). 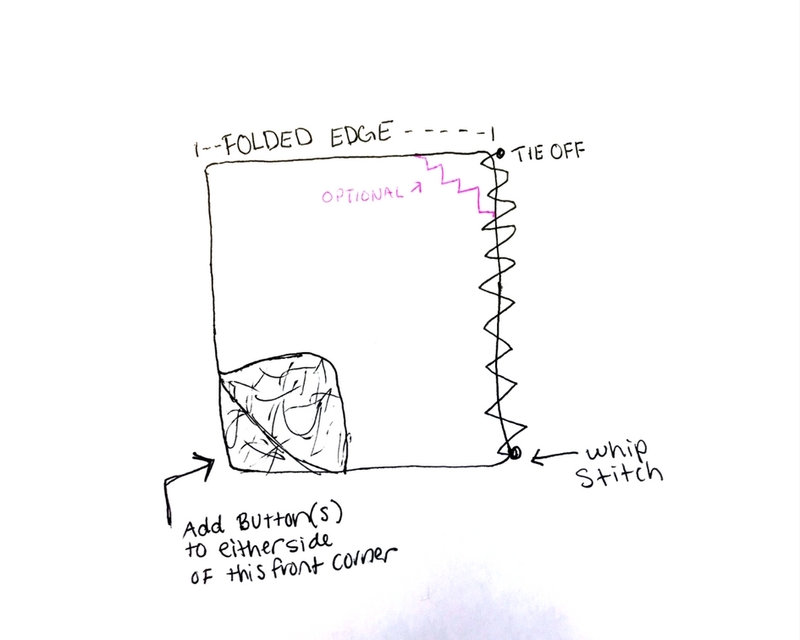 If you look at the graphic below you can curve the top corner in as you stitch so the hood has a rounded edge instead of a pointy edge when we flip it right side out. Tie off and flip right side out. Add a button(s) or other closure device to the bottom front corner of hood. Row 2: CH 1. 2 SC in the first ST, 1 SC in the next, 2 SC in the last ST. Tie off leaving a 10 inch tail. 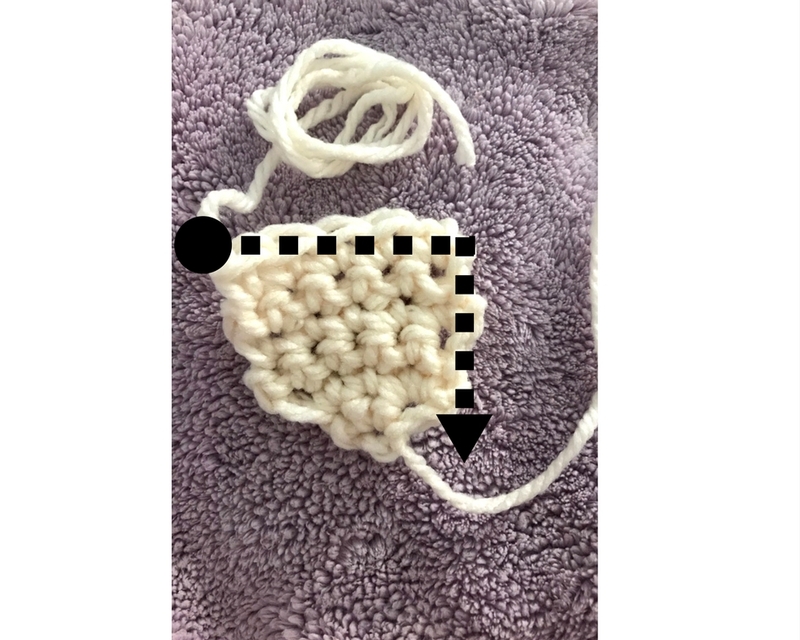 Now using the diagram below as a visual weave the yarn back in forth following the dotted line and the pull it a little tight so the edges start to fold in giving your ears a curved look. Tie to the other loose end from your starting chain. Use yarn needle (or fabric glue/hot glue if you please) to attach the ears to the head. I do mine 1-2 inches back from the brim of the hood, and 2-3 inches from the center. If you’re a bear, I’m a bear. I know that’s not how the quote goes, but this Textured Teddy Crochet Hood has got me all kinds of excited for colder weather (which I usually hate!). I’m excited for a cooler day that I can bust this baby out! If you need any help at any point on this pattern please don’t hesitate to reach out to me! If you just wanna shoot me an email and say hi that’s alright with me too! 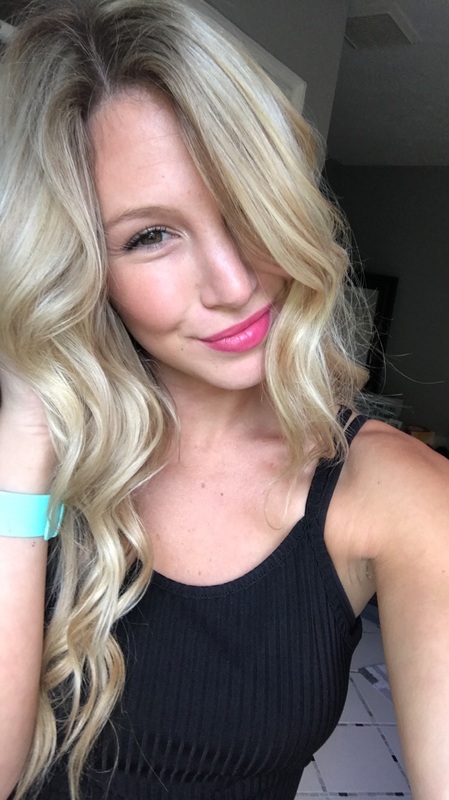 I love chatting with you guys and am always willing to help any time I can! If I want to make this for an adult will pattern work? Yes, this is actually written in an adult size and has suggestions for altering it for kids!